It is official, MyRegistry.com has revolutionized what we once thought of as a typical registry. MyRegistry.com is the premiere destination for Universal Gift Registry services, giving you the option to customize your registry from a store anywhere in the world - whether it is etsy, Nordstroms or that cute website that sells those tiny bird-feeders you love. MyRegistry.com makes it so easy to add anything you want from coffee to treats for your new puppy, the sky is really the limit. You are even give the option to tastefully register for cash gifts. 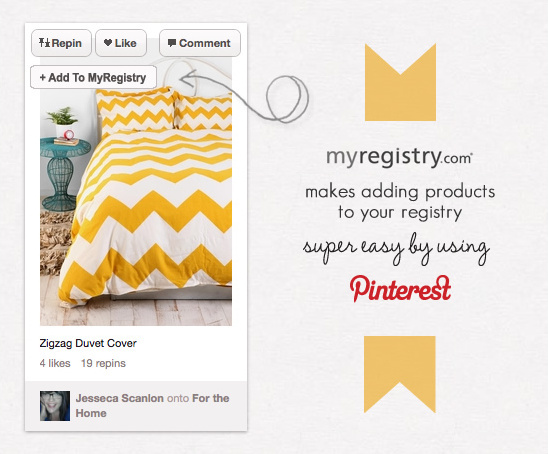 Now with the Pinterest craze in full swing MyRegistry.com gives us the fantastic option to add any product you see on Pinterest. 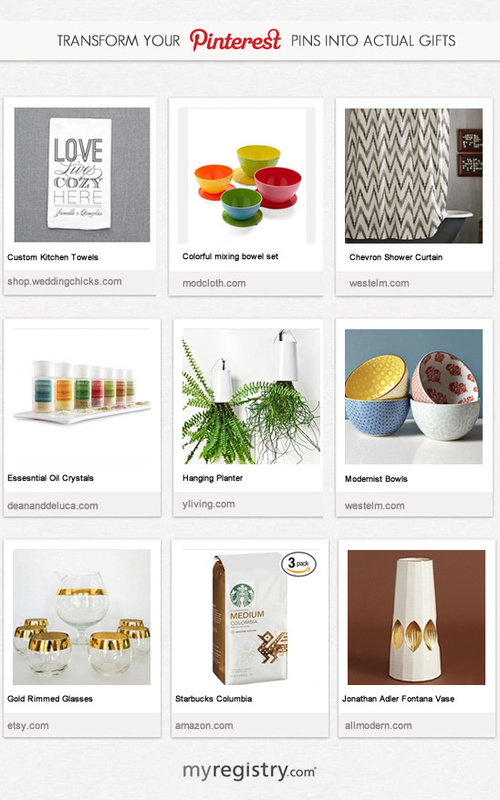 Now all the products you have been pinning can be imported in your registry along with new goodies you stumble across. It's incredibly easy to do. What are you waiting for? It is time to transform your pins into gifts, click here to get started. MyRegistry.com makes it easy to get what you want and need. • tastefully register for cash gifts• add any product you see on PinterestSimply install the bowser add-on by clicking here and get pinning!